Sneaker-like comfort that's rady for the moutnains, this is your go-to shoe for everyday adventures. Some adventures are equal parts connecting with friends, having fun outside, and discovering new places. 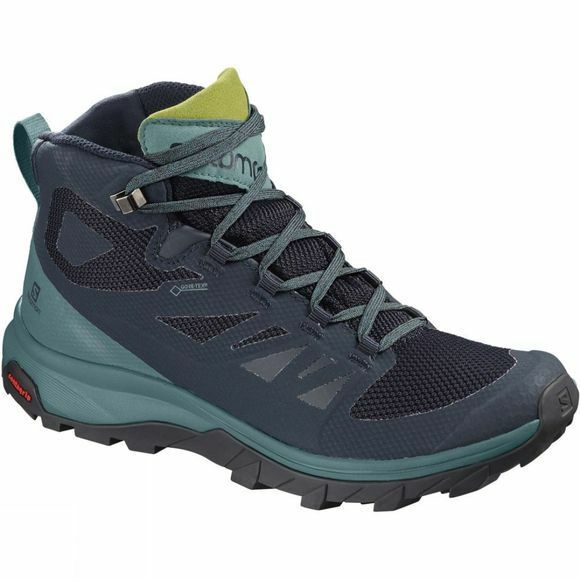 Sleek and stylish, the Women's Outline Mid GTX Boot from Salomon is ideally suited to such adventures, with light weight and flexibility like a running shoe, but enough grip and waterproof protection for any trail.